Kia has introduced a range of design enhancements and a new engine for the new Kia Optima. 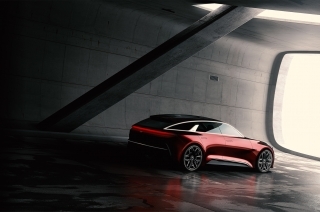 The car made its debut at the 2018 Geneva International Motor and is sold as a four-door saloon or five-door Sportswagon. 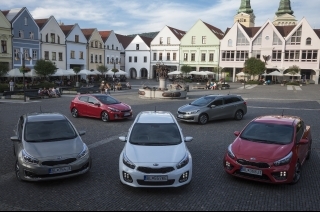 The Optima range benefits from a new powertrain: Kia’s all-new ‘U3’ 1.6-litre CRDi (common-rail direct injection) diesel engine. 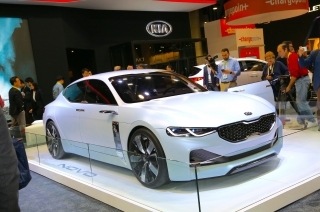 As well as refreshed exterior and interior design, the new Optima also features Kia’s latest active safety and in-car connectivity technologies. 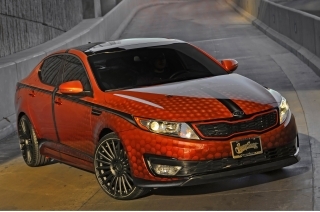 Kia’s designers have made a series of modifications to the Optima’s exterior design. 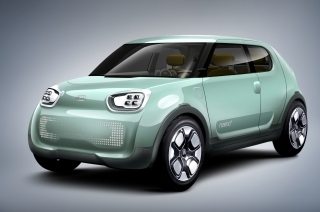 These include a revised front and rear bumper design, as well as new LED tail-lamps and a revised design for the head- and fog lamps. 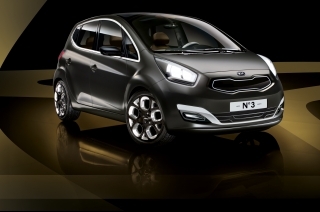 The ‘tiger-nose’ grille features a new bright chrome finish to create a more sophisticated, purposeful appearance. 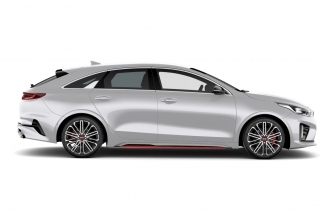 Optima Saloon models also feature a new rear bumper design and a new paint colour, ‘Runway Red’, is available, as well as new designs for the Optima’s 17- and 18-inch aluminium alloy wheels. Inside, the cabin features a newly-designed steering wheel and satin-chrome trim on the centre console which extends across the dashboard. 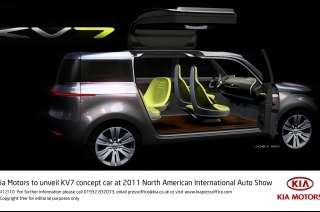 Grade ‘2’ models come with black cloth upholstery and level ‘3’ versions have black cloth with faux leather upholstery. The Optima is available with Kia’s latest Advanced Driver Assistance Systems (ADAS) creating an intelligently safe vehicle with active safety technologies to avoid or mitigate the effects of collisions. The Optima’s new Driver Attention Warning (DAW) system is available in the ‘3’ grade model and combats distracted or drowsy driving by monitoring a number of inputs from the vehicle and driver. It sounds a warning chime and displays a graphic in the instrument binnacle if it senses a lapse in concentration from the driver. In Europe, driver fatigue is believed to be a key factor in up to a quarter of all fatal traffic accidents across the continent. 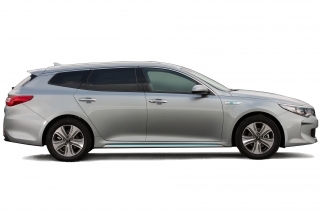 Other safety features available on the Optima ‘3’ grade include Lane Keeping Assist System (LKAS), helping to make the Optima one of the safest cars in its class. 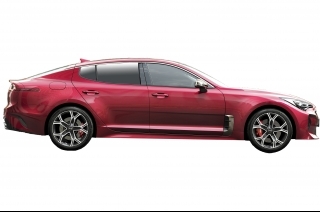 The new Optima is available with Kia’s latest 7.0- or 8.0-inch touchscreen infotainment system, with satellite navigation and Kia Connected Services powered by TomTom®. The system offers Apple CarPlay™ and Android Auto™ to enable full smartphone integration. Android Auto™ is designed to work with Android phones running 5.0 (Lollipop) or higher; Apple CarPlay™, for iPhone 5 or newer. Within the centre console is a wireless smartphone charger, allowing users to charge their compatible smartphones on the move. On grade ‘3’ versions, a 590-watt Harman Kardon® ten-speaker Premium Sound system is fitted as standard, with an external amplifier and eight-inch sub-woofer and Clari-Fi technology to restore the sound usually lost when digital music files are heavily compressed. There are also USB charging points in the front and rear in every model. 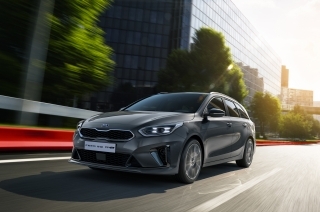 The Optima is available with Kia’s all-new ‘U3’ diesel engine, designed to go beyond the stricter limits laid down by the Euro 6d Temp emissions standard. 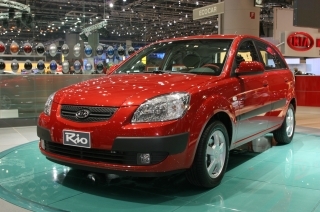 The ‘U3’ 1.6-litre CRDi (Common-Rail Direct injection) replaces the earlier 1.7-litre CRDi engine. 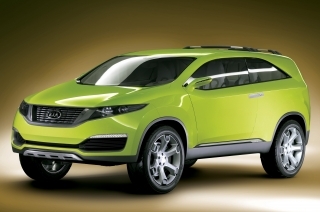 The engine employs Selective Catalytic Reduction (SCR) active emissions control technology to regulate emissions. 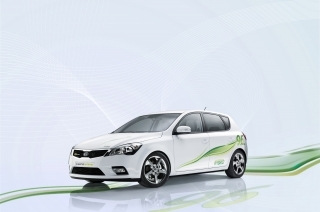 The new engine therefore produces low particulate matter and NOx emissions. 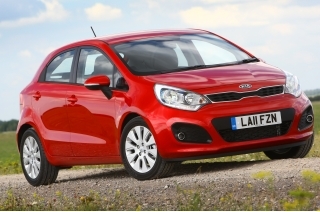 The powertrain produces 134bhp and 320Nm of torque across a 2,000-2,500rpm engine range. 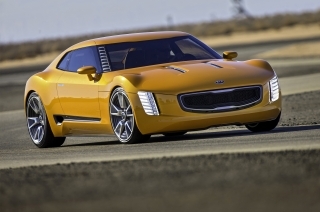 The engine was engineered at Kia’s European research and development centre in Germany and features high-pressure common-rail fuel injection for maximum efficiency and a variable geometry turbocharger to enhance low-speed driveability while ensuring strong top-end power. 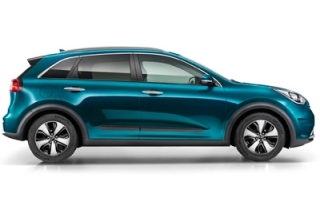 With Kia's Idle Stop & Go (ISG) engine stop/start system as standard, CO2 emissions of manual models are 117g/km on the grade ‘2’ model, and 118g/km on level ‘3’, while fuel economy is a highly impressive 54.3 and 53.3mpg, respectively. With the 7DCT dual-clutch automatic gearbox, which is available on grade ‘3’, emissions are 117g/km, while fuel economy is 53.3mpg combined. The manual has a 0-60mph acceleration time of 10.6 seconds and a top speed of 122mph, while the 7DCT takes 11.2 seconds to complete the 0-60mph dash and features a top speed of 121mph. 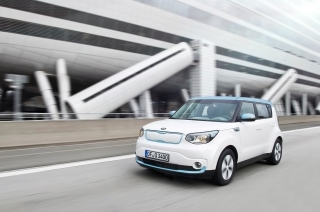 A new Drive Mode Selector lets Optima drivers switch between Eco, Comfort, Sport and Smart modes on 7DCT versions. Each mode enables the driver to customise the powertrain’s responses, prioritising fuel economy or more immediate acceleration. 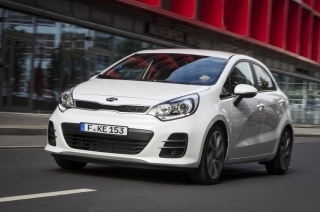 It also lets drivers adapt the weight of the rack-mounted power steering system, for more relaxed or more immediate, engaging steering responses. ‘Smart Mode’ is designed to anticipate the driver’s needs, switching automatically between Eco, Comfort and Sport modes depending on conditions. 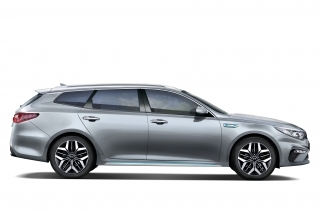 This enables the Optima to adapt to the driver’s behaviour and the road conditions, pre-empting the driver’s preference for different speeds and driving environments. 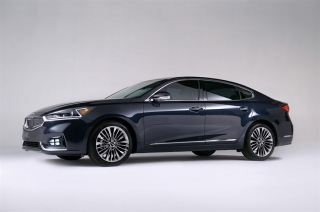 There are two trim lines for the Optima Saloon ­– ‘2’ and ‘3’. It is unashamedly targeted at business users who make up the vast majority of buyers in this sector of the market. The entry-level ‘2’ grade comes as standard with a 7.0-inch touchscreen satellite navigation system with European mapping and a reversing camera, steering wheel-mounted controls, front and rear USB ports, dual automatic air conditioning, a leather-trimmed steering wheel and gearshift, cruise control with a speed limiter, electrically heated folding mirrors, a six-speaker DAB radio with MP3 compatibility and Bluetooth® with music streaming. 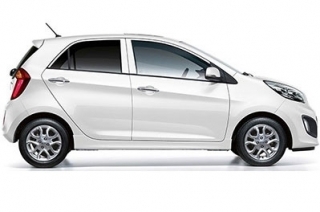 It has 17-inch alloy wheels, body-coloured door handles and mirrors, projection headlights with LED daytime running lights, powered two-way driver's seat lumbar adjustment, black cloth seats and remote central locking with a fold-away key, while the comprehensive safety provisions include Electronic Stability Control and Vehicle Stability Management, Hill-start Assist Control, Tyre Pressure Monitoring and an electronic parking brake. 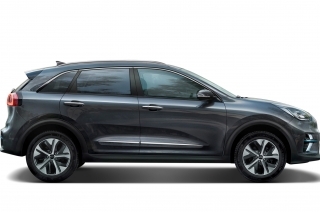 Front and rear parking sensors are included, along with Apple CarPlay™ and Android Auto™ smartphone connectivity and Kia Connected Services featuring TomTom® Live updates. Grade ‘3’ upgrades the satellite navigation screen to 8.0 inches.There’s an eight-way power-adjustable driver's memory seat with four-way electronic lumbar adjustment, heated front seats and steering wheel. The exterior is distinguished by 18-inch alloy wheels, chrome and body colour exterior door handles, projection front fog lights and rear combination lamps and chrome-coloured side sill mouldings. The black cloth seats have faux leather sections, there are satin chrome highlights on the touch-screen bezel. 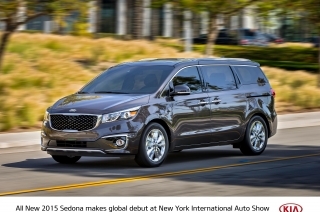 Rear electric windows with an auto up/down function and an anti-trap safety feature are also found on grade ‘3’ along with a 4.3-inch premium vision instrument cluster, satin chrome interior door handles and gloss black window switch panels. The Harman Kardon® Premium Sound system with ten speakers and 590W external amplifier is also standard, while the 7DCT version has paddle shifters for manual control and a Drive Mode Select function. Additional driver aids on grade ‘3’ include Driver Attention Warning (DAW), Lane Keep Assist System (LKAS) and a Speed Limit Information Function (SLIF). Servicing is required every 20,000 miles or once a year, whichever comes soonest. In keeping with every Kia, the Optima comes with the company’s unique-in-the-UK seven-year or 100,000-mile warranty, subject to certain wear and tear conditions. 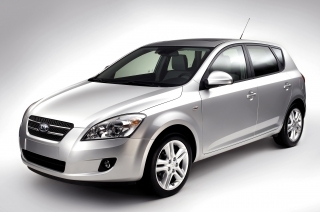 The warranty is fully transferable should the car be sold before the time or mileage limits have been reached, and if the car is less than 18 months old or has fewer than 18,000 miles on the clock, it is topped up to match that of a new model. 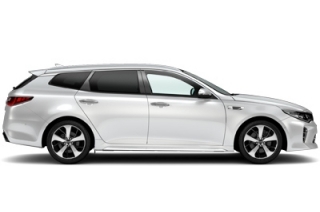 The Optima is available with ‘Kia Care’ service plans, which have been developed to provide customers with a wide range of service plan options for any Kia model within the first seven years of the vehicle’s life – matching its industry-leading seven-year warranty. The service plans include a comprehensive range of options including the original, traditional, first three and five services, but in addition a customer can now purchase services up to and including the seventh service which matches the full length of the warranty. 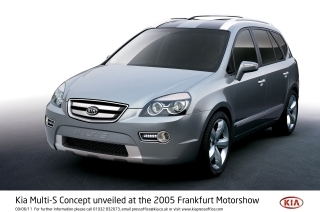 The plans are available for all Kia owners and can be purchased at any point of ownership for cars up to five years old. 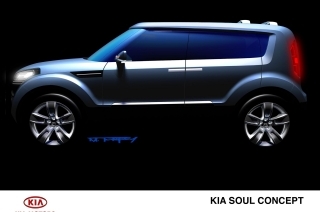 The ‘tiger-nose’ grille features a new bright chrome finish to create a more sophisticated, purposeful appearance. Satin-chrome trim on the centre console extends across the dashboard. 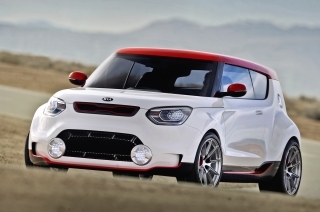 Kia’s designers have made a series of modifications to the Optima’s exterior design. 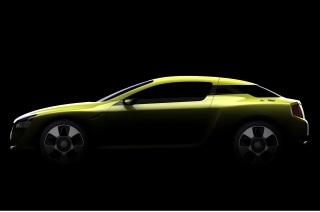 These include a revised front and rear bumper design, as well as new LED tail-lamps and a revised design for the head- and fog lamps. 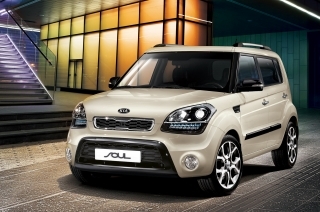 The ‘tiger-nose’ grille features a new bright chrome finish to create a more sophisticated, purposeful appearance. 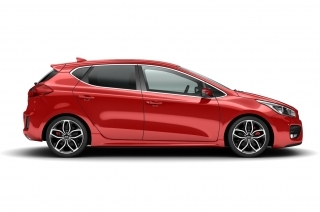 A new paint colour, ‘Runway Red’, is available, as well as new designs for the Optima’s 17- and 18-inch aluminium alloy wheels. Inside, the cabin features a newly-designed steering wheel and satin-chrome trim on the centre console which extends across the dashboard. Interiors include black cloth or black cloth with faux leather upholstery. 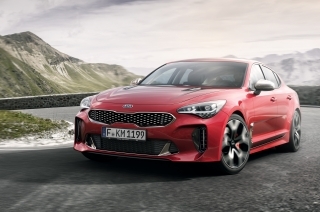 The new Optima is unmistakably a Kia, especially from the front, where the hallmark Kia ‘tiger-nose’ grille meets up with long and wide wrap-around light units which have been pulled taut over the blistered front wheel arches, giving the Optima a powerful and stable appearance. 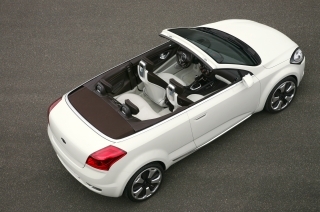 The length of 4,855mm is significant as it creates space for a swept-back and dynamic side profile. 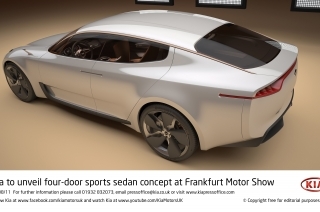 The glass area preserves the raked A-pillar and sweeping C-pillar that were so influential in giving the first-generation Optima a sports saloon shape, with the rear quarter-light kicking up sharply as the shoulder line meets the raised boot lid. That shoulder line extends all the way from the front light units, creating a clean, straight crease that links front and rear and does so much to give the Optima its cohesive appearance. The door panels are deeply sculpted and curve fluently into slightly extended side sills which increase the visual weight around the lower body and again emphasise stability. The car’s athletic appearance is reinforced at the rear, where a rising, spoiler-shaped boot lid and an expansive rear bumper flow into a diffuser section which houses the chrome-tipped oval exhaust tailpipe. The tail light units wrap around the rear corners, like those in front, and give the Optima a more modern night-time signature. 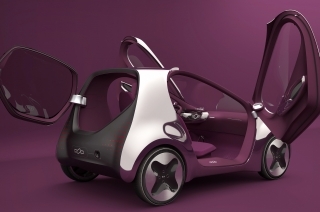 The body is aerodynamically efficient as well as stylish, with a drag co-efficient of 0.29. There is a choice of five paint colours on grade ‘2’ and six on grade ‘3’. 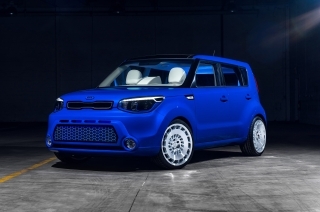 There are also two different alloy wheel designs with grade ‘2’ featuring 17-inch items and level ‘3’ fitted with 18-inch alloy wheels. 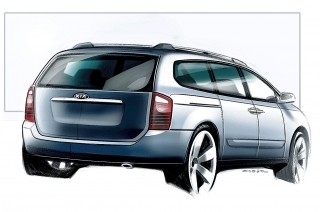 Anyone looking for tangible evidence of the quality within the Optima need do no more than open a door. The modern layout with its horizontal dash structure is immediately apparent, as is the high-quality nature of the materials used throughout. The dashboard and control layout is driver-focused, with the centre console angled at 8.5 degrees towards the person behind the wheel. The central 7.0- or 8.0-inch touch-screen is set at exactly the same height as the instruments in the main cluster – a more logical and more visible layout which emphasises the minute attention to detail applied to the Optima and the horizontal design of the dashboard. The fascia is divided into an upper display zone and a lower control zone to make it easier for the driver to absorb information quickly. 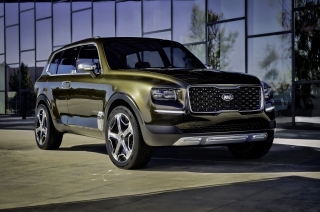 Kia has kept the number of buttons and switches in the control zone in check, by permitting more functions to be operated via the touch-screen, simplifying use and giving the cabin a less cluttered look. The display and control zones are separated by a horizontal chrome strip which enhances the increased width of the cabin. The interior is trimmed in black cloth on grade ‘2’ and black cloth with faux leather on level ‘3’ versions. A faux leather finish has been applied to the door and centre console armrests, and black leather is standard on the gear lever and steering wheel. The door switch panels, door handles and interior bezels are trimmed with either metallic paint or satin chrome, depending on model. The grandeur of the interior is reinforced by the level of connectivity and technology on board. 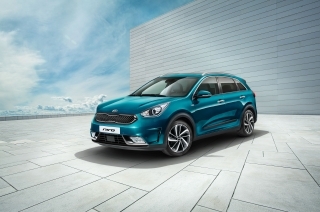 Every model has satellite navigation with European mapping accessed via a 7.0- or 8.0-inch touch-screen and linked to Kia Connected Services featuring TomTom® traffic and speed camera alerts, weather reports and local search information. 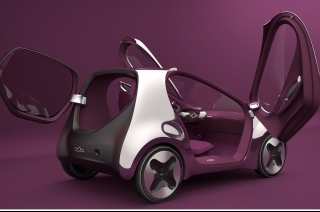 Bluetooth® with music streaming, reversing sensors and a reversing camera are also integrated. Every model also has a Thin Film Transistor (TFT) 3.5-inch mono or 4.3-inch colour supervision instrument cluster, depending on trim level. 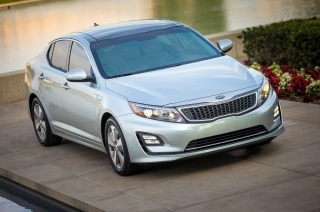 The Optima is a fully connected car, with advanced technology options to enhance comfort, convenience and safety. 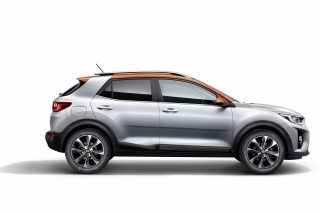 Every version is fitted with a 7.0- or 8.0-inch touch-screen satellite navigation display in the centre of the dashboard, and features Bluetooth® hands-free mobile phone connectivity with audio streaming, as well as Android Auto™ and Apple CarPlay™ smartphone compatibility. 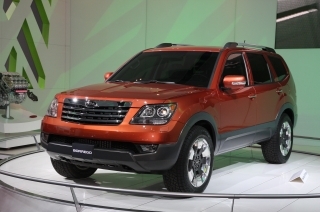 The navigation screen has a full colour display with a rear parking camera. There are also USB charging points in the front and rear in every model. The touch-screen infotainment system is paired as standard with a six-speaker audio on the grade ‘2’, while the level ‘3’ version features a powerful 590-watt Harman Kardon Premium Sound system with ten speakers, an external amplifier, eight-inch subwoofer and Clari-Fi, which restores sound lost with heavily compressed digital music files. 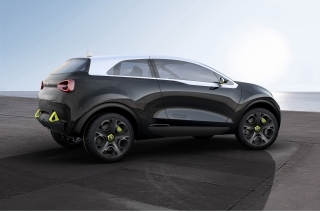 All models are linked to Kia Connected Services with TomTom®, accessed through the owner's smartphone. This provides live traffic updates refreshed once a minute, with suggested alternative routes to avoid congestion; weather forecasts; local searches under 500 categories, from Kia dealerships and petrol stations to restaurants and supermarkets; and alerts for speed cameras and accident blackspots. 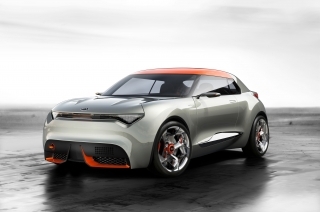 Kia has had a 15-year relationship with renowned car audio experts Harman International, whose engineers were involved in the design and development of the Optima's interior from the outset to ensure the audio system components could be integrated without compromise. 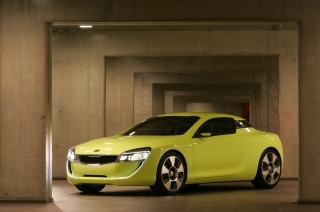 Hundreds of hours were then spent fine-tuning the system specifically for the Optima, taking into account its size, seating configuration and interior materials. 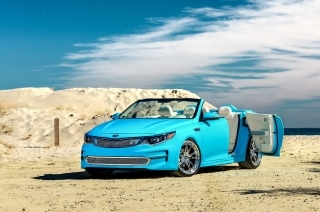 Additionally, the Optima is available with Android Auto™ with Android phones running 5.0 (Lollipop) or higher, and Apple CarPlay™ with iPhone 5 or newer later. Android Auto™ connects the car to the user's smartphone and, via pre-downloaded apps, gives access to Google Maps navigation, Google Play music, hands-free calls and texts and voice recognition. Apple CarPlay™ enables full Siri voice control of the phone's apps and functions while linking the car to Apple Maps, calls and text dictation, music streaming and audiobooks. Lane Keep Assist System (LKAS), which is fitted to the Optima ‘3’ warns a tired driver who may be about to stray into the path of a vehicle approaching from behind. It uses a camera placed behind the rear-view mirror to 'film' the lane ahead and passes the information on to an electronic control unit that detects the lane and markings. If the control unit recognises that the car has left its lane with no indicator activated, it issues sound and visual alerts to the driver and steers the Optima back into its lane if necessary. Cruise control with a speed limiter is fitted to Optima ‘2’ and ‘3’. The Level ‘3’ Optima’s new Driver Attention Warning (DAW) system combats distracted or drowsy driving by monitoring a number of inputs from the vehicle and driver. It sounds a warning chime and displays a graphic in the instrument binnacle if it senses a lapse in concentration from the driver. In Europe, driver fatigue is believed to be a key factor in up to a quarter of all fatal traffic accidents across the continent. Grade ‘3’ upgrades the navigation screen to 8.0. 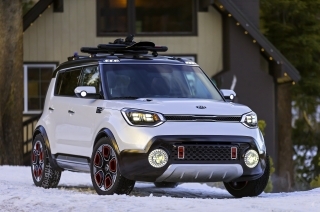 There’s an eight-way power-adjustable driver's memory seat with four-way electronic lumbar adjustment, heated front seats and steering wheel. The exterior is distinguished by 18-inch alloy wheels, chrome and body colour exterior door handles, projection front fog lights and rear combination lamps and chrome-coloured side sill mouldings. The black cloth seats have faux leather sections, there are satin chrome highlights on the touch-screen bezel. 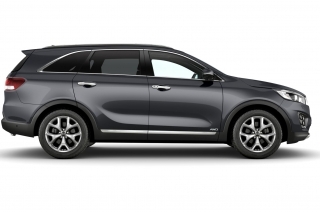 Rear electric windows with an auto up/down function and an anti-trap safety feature are also found on grade ‘3’ along with a 4.3-inch premium vision instrument cluster, satin chrome interior door handles and gloss black window switch panels. The Harman Kardon Premium Sound system with ten speakers and 590W external amplifier is also standard, while the 7DCT version has paddle shifters for manual control and a Drive Mode Select function. Additional driver aids on grade ‘3’ include Driver Attention Warning (DAW), Lane Keep Assist System (LKAS) and a speed limit information function (SLIF). 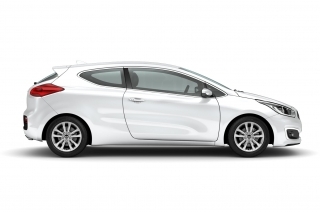 In the UK, sales of the Optima are heavily dependent on company car fleets, where whole-life running costs for operators and benefit-in-kind taxation (BIK) for users are the most influential factors. 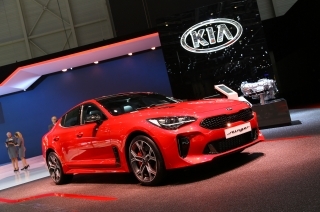 With this in mind, Kia markets the Optima with a highly efficient and refined 1.6-litre CRDi turbodiesel engine, paired to either a six-speed manual or a seven-speed (7DCT) dual-clutch automatic transmission. 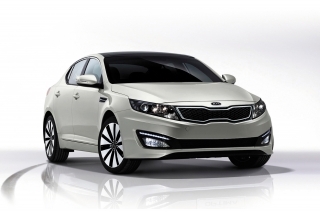 The Optima is available with Kia’s all-new ‘U3’ diesel engine. 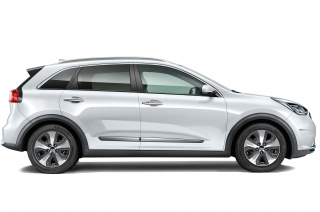 Designed to go beyond the stricter limits laid down by the latest Euro 6d Temp emissions standard, the ‘U3’ 134bhp 1.6-litre CRDi (Common-Rail Direct injection) uses Selective Catalytic Reduction (SCR) active emissions control technology to regulate emissions. 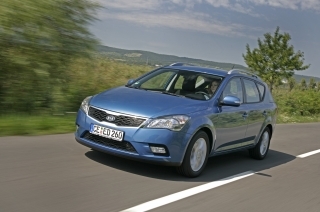 The 1.6-litre diesel powerplant produces 320Nm of torque. 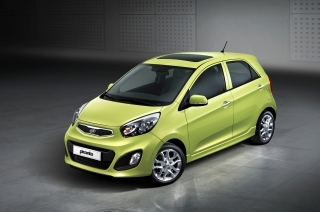 It delivers outstanding performance for an engine of this capacity with effortless driveability. With a six-speed manual transmission, the 134bhp engine emits CO2 emissions of 117g/km (combined, WLTP, converted back to NEDC 2.0) on grade ‘2’ and 118g/km for grade ‘3’ , or 117g/km with a Dual-Clutch Transmission. The Optima’s 1.6-litre ‘U3’ diesel engine features a range of components designed to improve sound insulation and refinement. These include a timing belt cover and more insulated cylinder block cover, engine undercover, and oil pan cover. 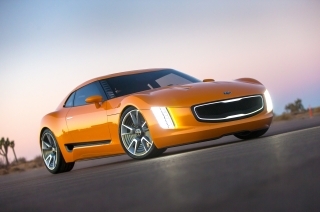 The engine was engineered at Kia’s European research and development centre in Germany and features high-pressure common-rail fuel injection for maximum efficiency and a variable geometry turbocharger to enhance low-speed driveability while ensuring strong top-end power. Maximum torque is available from 2,000rpm to 2,500rpm. The manual has a 0-60mph acceleration time of 10.6 seconds and a top speed of 122mph, while with the 7DCT 0-60mph takes 11.2 seconds and is endowed with a top speed of 121mph. 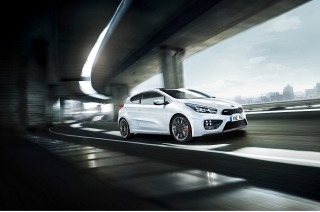 Like the manuals, 7DCT versions feature Kia’s EcoDynamics fuel-saving, CO2-reducing ISG system as standard. The 7DCT versions also have a Drive Mode Select system featuring four options –Eco, Comfort, Smart and Sport – which alter the transmission shift timing, throttle mapping and steering wheel weighting accordingly. Steering wheel-mounted paddles allow the driver to take manual control of gearshifting at any stage. 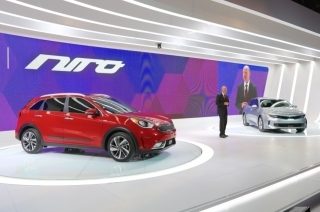 The seven-speed (7DCT) dual-clutch automatic transmission was developed in-house at Kia's Namyang research and development centre in South Korea with the aim of enhancing fuel efficiency while delivering the comfort and smoothness of a torque converter transmission in automatic mode with the sportiness of a manual when the driver chooses to take control of gearchanging via the steering wheel-mounted paddle shifters. One clutch operates the odd-numbered gears and the other the even-numbered ratios, ensuring that the transmission is primed for the next up- or downshift. As a result, torque losses during shifting are reduced, improving efficiency, while gearchanges are at least as smooth as with the best torque converter auto. The manual is a slick-shifting unit with the forward gears arranged in a double-H pattern and reverse to the left and up, selected by first raising a collar around the shift lever. Long gearing for the higher ratios and optimised software for the gearshift advisory system help the driver to get maximum fuel efficiency with no loss of driveability. 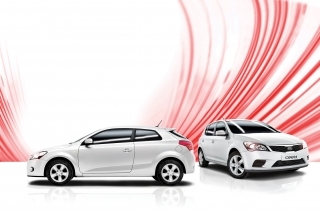 Kia’s Intelligent Stop & Go (ISG) engine stop/start system turns off the engine when the car is stationary in traffic. With manual models the driver must first put the gearlever into neutral and release the clutch pedal. The engine restarts immediately as soon as the clutch pedal is partially pushed (manual) or the brake pedal is released (7DCT). 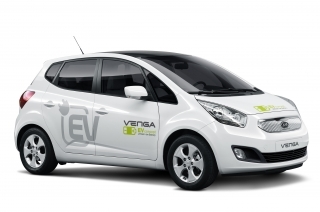 As a result, no fuel is wasted and no emissions are pumped into the atmosphere when the car is stationary. ISG consists of crankshaft position, battery and vacuum sensors plus neutral, on-off and clutch switches that feed into an electronic control unit. This operates the ISG starter, intelligent alternator and cluster. The air conditioning units and bonnet switch also feed into the ISG ECU. The crankshaft position sensor measures the crank angle during engine run-out and monitors it while the vehicle is stopped, ensuring the starter is activated for as short a time as possible by optimising cranking and combustion. 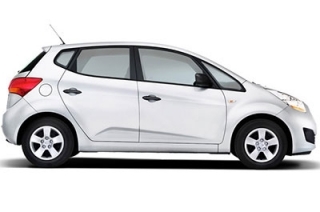 The battery sensor monitors the battery condition and temperature, while the clutch and neutral switches recognise when the driver wishes to continue driving and ensure the engine is started. 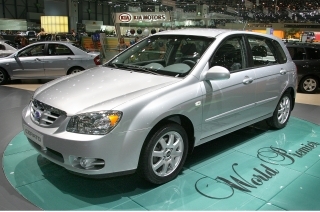 There is a brake booster pressure sensor to make sure the engine continues to operate if brake boost falls too low. A heavy-duty maintenance-free AGM (Absorbent Glass Mat) battery delivers the power necessary to run the system, and intelligent alternator management reduces drain on the battery while accelerating and recharges the battery when coasting and braking. The system has been engineered not to stop the engine during warm-up from a cold start or if the air conditioning system is working hard. Drivers can also manually turn off the ISG system through a switch on the dashboard. 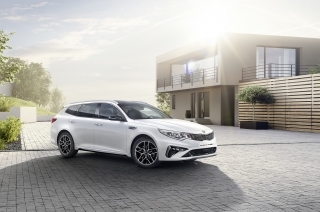 A stiff body structure and suspension and steering settings that have been optimised, combine to give the Optima sporty, dynamic driving characteristics. Great comfort levels and refinement have been achieved thanks to careful attention when tackling noise, vibration and harshness (NVH). 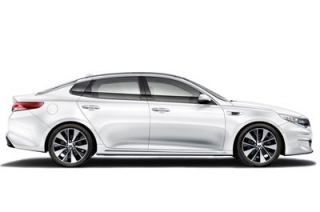 The body shell of the Optima is 50 per cent stiffer than that of the previous model, yet also 8.6kg lighter. 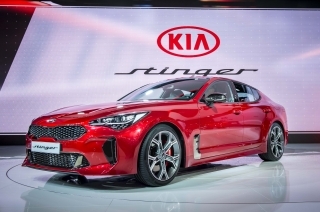 This is largely down to a 150 per cent increase in the use of Advanced High-Strength Steel, which is now employed in half of the Optima's body structure compared with a fifth previously. 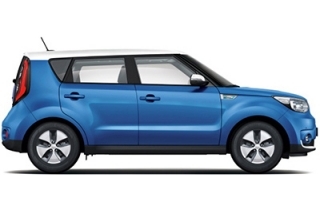 These higher-strength steel alloys are used extensively to reinforce the A and B pillars, side sills, roof, floor, front wheel arches and rear bulkhead, giving the Optima far greater structural integrity. 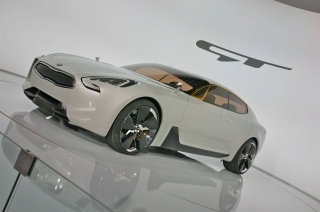 At the same time there has been a 450 per cent increase in the amount of structural adhesive to bond body panels together. 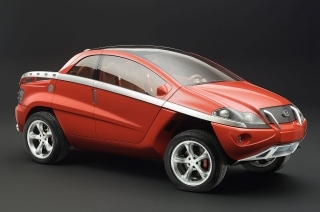 The stiffer body shell provides an ideal platform for the suspension and steering to work away without having to compensate for torsional flex. 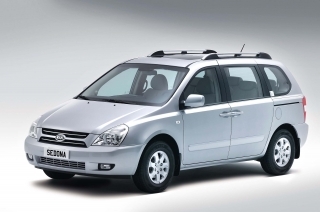 The Optima isolates vibrations and bumps on poor road surfaces, delivering excellent ride comfort and agility. 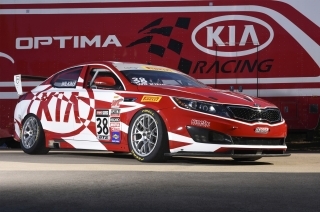 The Optima features fully independent suspension at all four corners via subframe-mounted MacPherson struts with coil springs and twin-tube gas-filled dampers at the front and a subframe-mounted multi-link system with coil springs and twin-tube gas-filled dampers at the rear. There are front and rear anti-roll bars. The front and rear subframe mounting points are positioned further out than with the original Optima, taking advantage of the car's width, for a smooth ride. There are four front bushing points designed to increase lateral stiffness, while the bearings are robust. 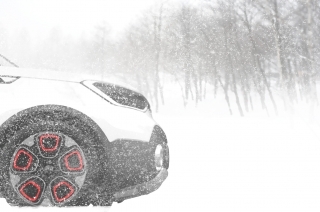 The result is agile steering responsiveness and cornering traction, with less delay when the car needs to settle after a severe road surface-induced jolt. At the rear there are dual suspension arms, with thick, absorbent bushes. 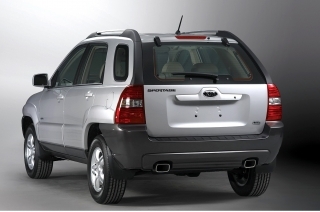 This is designed to enhance stability and bump absorption, aided by the long wheelbase. 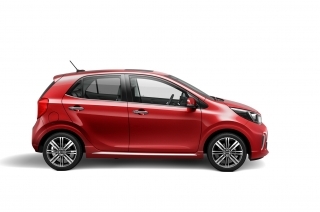 It is an arrangement which provides ideal wheel alignment and body control even under high cornering loads, with good suspension travel and supple damping over a typically broken B-road surface. 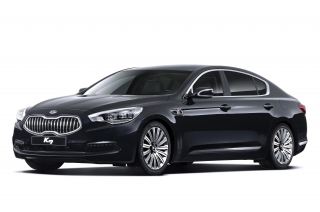 The Optima is extremely stable in crosswinds or when suddenly changing lanes on the motorway, ensuring the car always remains under the driver’s complete control. 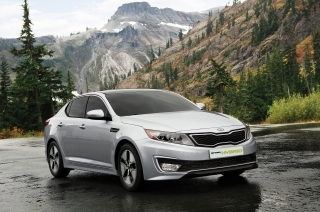 The Optima also features Kia's rack-mounted motor-driven power assisted steering system (R-MDPS). 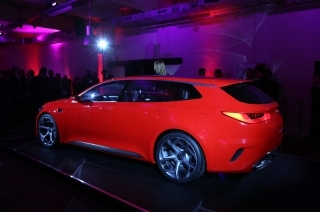 By mounting the power steering function directly on the rack rather than the column, the engineers have been able to give the Optima quick and linear responses to driver inputs, particularly around the straight-ahead, with plenty of feel. 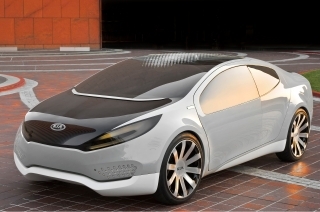 The Optima is one of the most agile cars in its market segment. As an added benefit, R-MDPS gives approximately three per cent fuel savings compared to a conventional system, because it draws on engine power only when the car is turning. 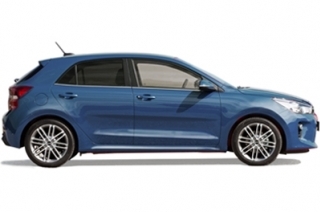 There are large disc brakes on all four wheels, ventilated at the front, with anti-lock (ABS), Electronic Brake-Force Distribution (EBD) and Brake Assist, giving the car powerful emergency stopping power, regardless of the force applied to the pedal by the driver. 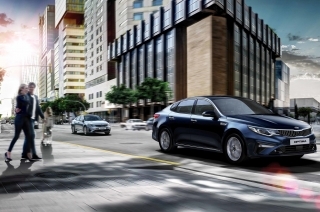 The Optima also comes with Hill-start Assist Control (HAC), which maintains brake pressure for two seconds after the driver releases the pedal to ensure smooth transitions on inclines. 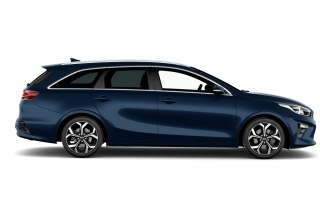 Comprehensive measures to counter NVH ensure that the Optima has the refinement to match its upmarket appearance, quality and technology features. The stiff bodyshell again provides an ideal platform for this, while the drag co-efficient of 0.29 delivers low levels of wind noise. 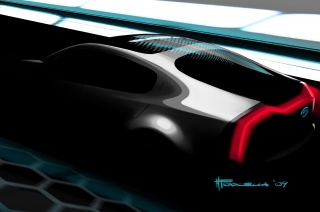 Innovations to help towards this include a large under-floor cover and effective windscreen seals, each of which contrive to reduce wind noise, while improving aerodynamics and, consequently, fuel consumption. The part played by the body in reducing NVH is also significant. 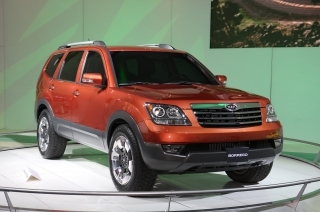 With a more rigid body frame and stiffer body panels and engine mounts, there is a significant reduction in vibration throughout the cabin. 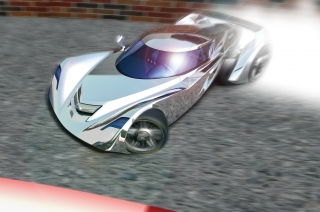 Even the alloy wheels help to cut vibrations created by poor road surfaces. 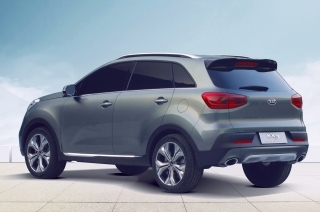 The fuel consumption and CO2 emissions of the latest all-new ‘U3’ 1.6-litre CRDi turbodiesel engine will put a smile on the faces of fleet operators and business users by offering competitive whole-life running costs and benefit-in-kind taxation (BIK). The manual gearbox equipped grade ‘2’ Optima emits CO2 emissions of 117g/km, while level ‘3’ is a touch higher at 118g/km. The 7DCT dual-clutch automatic ‘3’ model sits at 117g/km. 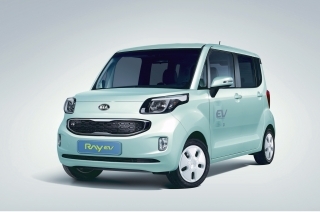 The manual ‘2’ version achieves 54.3mpg on the combined cycle, while the ‘3’ edition achieves 53.3mpg, with the 7DCT version managing even fuel economy of 53.3mpg. 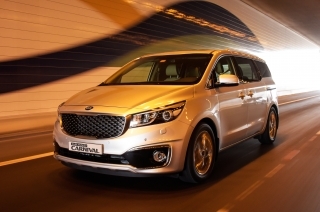 The Optima’s stylish design and high-quality finish are expected to be reflected in higher residual values, which in turn means lower monthly leasing bills for operators. 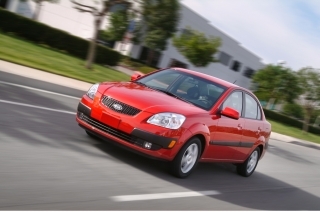 The comprehensive new safety features and low repair costs keep insurance rates down. 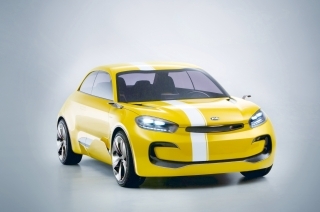 And, as with any Kia, servicing requirements were factored in from the start of the design and engineering process to ensure the minimum of down time and cost when the car has to go in for routine maintenance, which is required only once a year or at 20,000-mile intervals, whichever comes soonest. 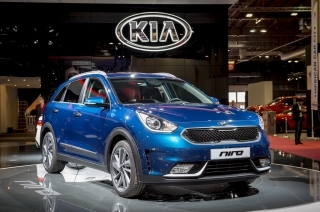 Last but not least, the car comes with Kia’s industry-leading seven-year or 100,000-mile warranty, subject to conditions covering wear and tear items. 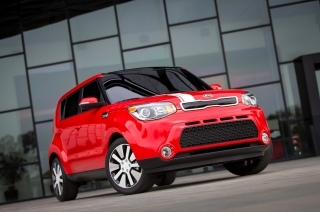 The warranty is transferable to subsequent owners. 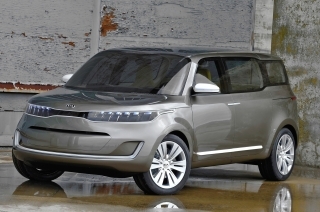 The Kia Promise was introduced to give customers the best ownership experience by giving them access to seven key benefits. 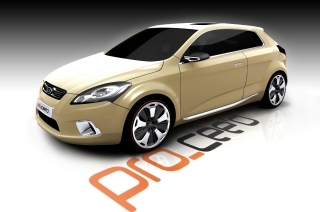 The Kia Promise is activated after purchase and is done by simply registering on the online portal, MyKia. Along with the industry leading seven-year/100,000 mile warranty, other benefits of the Kia Promise include complimentary seven day insurance and £250 Insurance Excess Return for one year; easy to use Click & Collect on Genuine Kia accessories; convenient online service booking; Family-Like Care and Accident AfterCare. 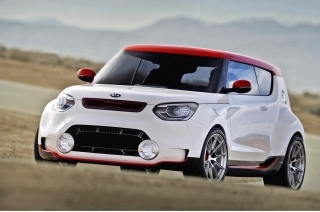 Every new Kia also comes with complimentary Roadside Assistance for 12 months. 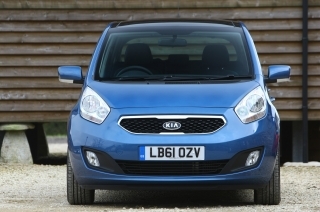 When a customer registers on MyKia, Kia Roadside Assistance Plus, the highest level of cover provided by the RAC, can be unlocked, which includes onward travel and European cover. 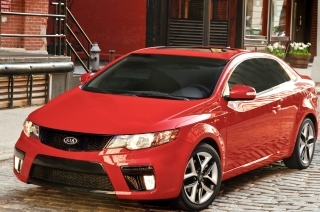 The Optima is available with a number of advanced active safety features, some of which are firsts for Kia. These augment the comprehensive suite of active and passive safety technologies which are standard across the range. Lane Keep Assist System (LKAS) is fitted to grade ‘3’ and warns a tired driver who may be about to stray into the path of a vehicle approaching from behind. It uses a camera placed behind the rear-view mirror to 'film' the lane ahead and passes the information on to an electronic control unit that detects the lane and markings. If the control unit recognises that the car has left its lane with no indicator activated, it issues sound and visual alerts to the driver and steers the Optima back into its lane if necessary. The Optima’s new Driver Attention Warning (DAW) system in grade ‘3’ combats distracted or drowsy driving by monitoring a number of inputs from the vehicle and driver. It sounds a warning chime and displays a graphic in the instrument binnacle if it senses a lapse in concentration from the driver. In Europe, driver fatigue is believed to be a key factor in up to a quarter of all fatal traffic accidents across the continent. 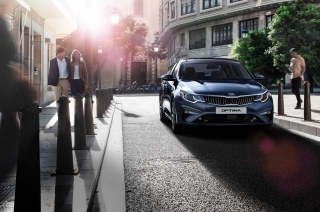 The Optima's safety begins with its far stiffer body shell with programmed front, side and rear crumple zones to minimise the risk of injury in an accident. 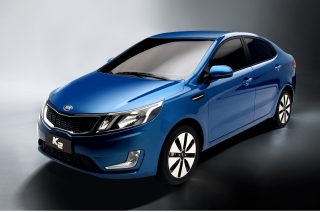 The body shell of the Optima is 50 per cent stiffer than that of the previous model, yet also 8.6kg lighter. 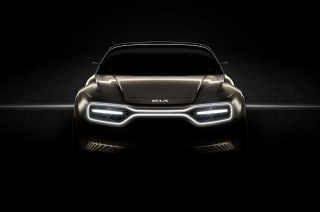 This is largely down to a 150 per cent increase in the use of Advanced High-Strength Steel, which is now employed in half of the Optima's body structure compared with a fifth previously. 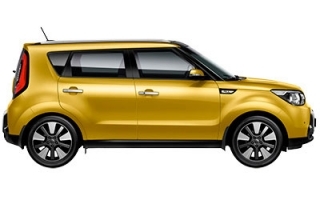 These higher-strength steel alloys are used extensively to reinforce the A and B pillars, side sills, roof, floor, front wheel arches and rear bulkhead, giving the Optima far greater structural integrity. At the same time there has been a 450 per cent increase in the amount of structural adhesive to bond body panels together. 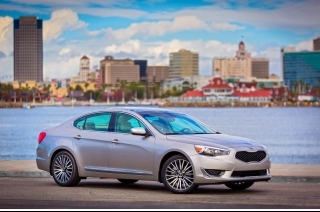 For further crash protection, all versions of the Optima have twin front and side airbags for the driver and front-seat passenger and two full-length side curtain airbags. A reversing camera integrated with the 7.0- or 8.0-inch satellite navigation touch-screen and reversing sensors are standard, helping to minimise the chance of suffering annoying parking dents. 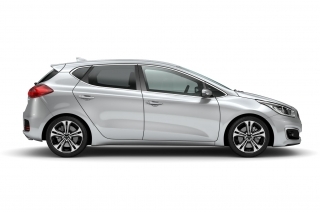 All versions have Anti-Lock Brakes with Electronic Brake-force Distribution (EBD) and Brake Assist (BA) so that the car comes to rest in the shortest possible distance in an emergency, regardless of the pressure applied to the pedal by the driver. 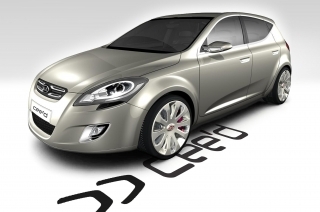 Electronic Stability Control (ESC) and Vehicle Stability Management (VSM) prevent the car from skidding in corners or when accelerating on surfaces with different levels of grip between left and right. And Hill-start Assist checks the car for two seconds when setting off on inclines to prevent it rolling backwards. Cruise control with a speed limiter is fitted to both Optima grades ‘2’ and ‘3’. Emergency Stop Signalling flashes the high-level brake light in an emergency stop to warn the drivers of following vehicles, while the Tyre Pressure Warning system ensures the driver is given advanced notice of a loss of pressure long before it could lead to sudden deflation. Front seat-belt pre-tensioners reduce the forces on the wearer’s chest in a collision, and ISOFIX top tethers and anchors are fitted to allow child seats to be mounted. A passenger airbag cut-off switch is standard to permit a rear-facing child seat to be carried in the front of the car. Speed-sensing automatic door locks ensure the security of all passengers. They are automatically disabled in the event of an accident. 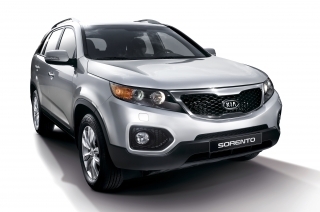 European versions of the Optima are built at the Hwasung plant in Asan Bay alongside the Sorento, Kia’s large SUV, and a number of models which are not exported to the UK. Hwasung is Kia's largest plant, with a production capacity of 600,000 cars a year. It opened in 1989 and production began in 1991. Hwasung is also home to a 200-acre proving ground with 16 driving courses, opened in 1993, and it houses an employee sports centre, giving the 12,000 workers and their families access to gymnasiums, swimming pools, squash courts and weight-training and community facilities. 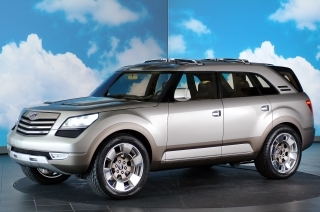 In recent years Hwasung has undergone major changes to improve the quality of production processes and the cars leaving the factory gates. 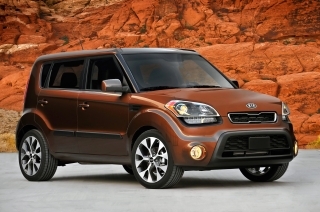 The improved quality has been recognised by the American publication Consumer Reports. Constant efforts are also being made to minimise the plant's effect on the environment. There have been major initiatives to increase recycling, reduce the amount of pollutants and waste in the production process, lower greenhouse gas emissions and cut air pollution through more eco-friendly production systems. Energy-saving measures have also been introduced, and Hwasung has sent no waste to landfill since 2008. Improved paint facilities have been installed and every aspect of vehicle production has been scrutinised to ensure the plant uses less energy. 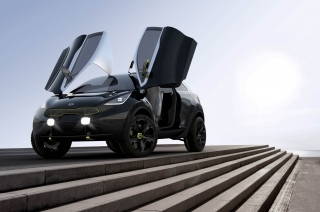 Water and power consumption, dust, CO2, contaminants and the amount of waste per vehicle have all been reduced. 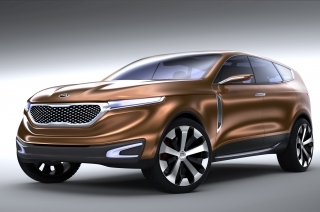 Kia has made reducing the amount of raw materials being fed into the production process a major priority in each of its production facilities. The last few years have seen significant progress in reducing waste, increasing recycling and developing cleaner production processes. The overall waste generated by Hwasung is under constant review and a number of programmes have seen dramatic improvements. Recycling has increased and now stands at well over 90 per cent. Exhaust pollutants from Hwasung – dust, NOx and SO2 – have also decreased dramatically. New technology is playing a significant part in environmental improvement. Typical cast melting furnaces produce large amounts of dust, and contained within this is a high proportion of zinc. The captured dust is treated and the zinc extracted before being re-used within the production process. Pump invertors have been fitted to coolant and collectant pumps to control the rpm according to load. This has led to energy savings and a reduction in CO2 equivalent to around 4,000 tons per year. 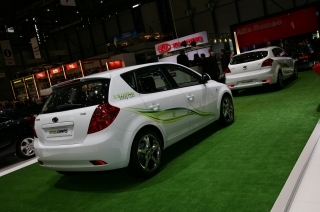 Another simple energy-saving process has been implemented within Hwasung’s huge and complex air conditioning systems. A fixed amount of heat was supplied to some areas of the plant, regardless of the outside temperature. Using smart control units, the fans now run to supply heat only where and when needed. More technology is being employed in the machining shops where gearboxes are produced. Compressed air is used as a coolant when machining intricate gearbox internals, rather than cutting oil, helping to reduce oil use to less than half of one per cent. 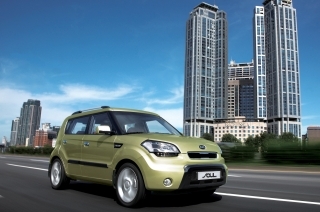 The green landscape around Kia facilities is an important part of each plant make-up. One ongoing programme is based on a number of ecology gardens which are filled with trees and plants resistant and also sensitive to environmental changes in air pollution. This has the added benefits of providing a more comfortable environment for the staff and local population and offsetting some of the CO2 output from the facility. These gardens are continually monitored since they act as real-world indicators of air quality. Each site is broadening the green patches in and around its compound and constantly monitors air pollution in neighbouring communities. A monthly task for each facility is a stream clean-up programme, where Kia cleans and maintains local, natural water courses. This is not only to monitor cleanliness but also to keep them maintained for local communities to enjoy. 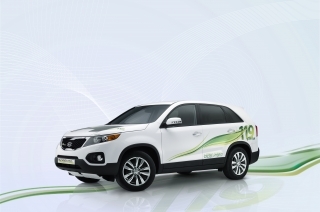 The overall effect of the many green initiatives has resulted in Hwasung being officially recognised as an eco-friendly worksite by the Korean Ministry of the Environment. Which versions will be most popular? A. We originally anticipated that grade ‘2’ would be the most popular, but during 2017, actual registration figures showed that Optima buyers were more discerning and chose a richer mix, with the level ‘3’ outselling grade ‘2’. 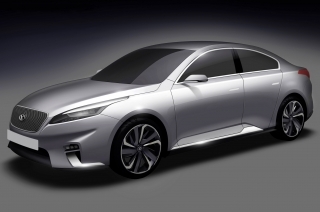 Are you planning to facelift the Optima PHEV to bring it line with this updated Optima. A. 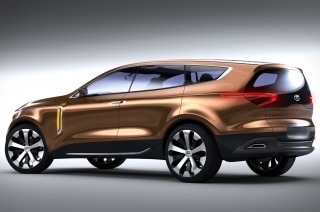 We never reveal future model plans and will announce details of future versions as and when it is applicable. Q. 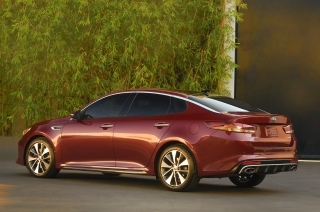 Will the Optima’s new diesel engine be introduced to other Kia models? Yes. 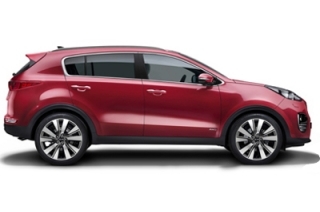 The new engine is designed to replace our existing 1.6- and 1.7-litre ‘U2’ diesel engines. 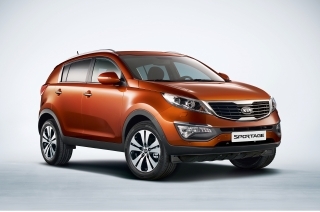 The new powerplant is also being introduced into the recently upgraded Stonic and Sportage, and features in the latest Ceed. 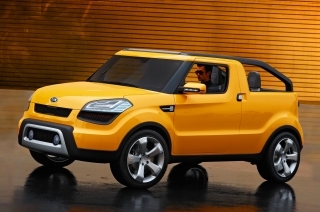 Other Kia models to follow in the future. Q. 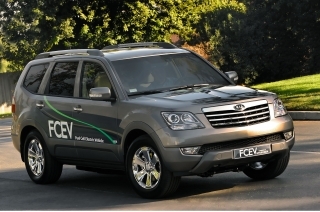 Does the new diesel engine require Diesel Exhaust Fluid (DEF) to meet emissions regulations? How often will buyers have to refill the Diesel Exhaust Fluid tank? Like many of its rivals, the Optima’s new diesel engine requires urea for its Selective Catalytic Reduction (SCR) emissions control system. The SCR system enables the Ceed to meet the latest Euro 6 emissions regulations – it is fully compliant with the Euro 6d TEMP regulations. 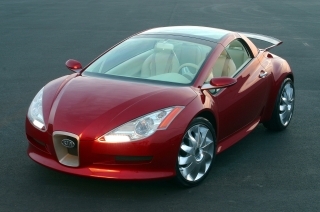 Depending on use, buyers will need to top-up the tank after around 5,000 miles, though that varies from model to model. The car alerts the driver when the tank gets low and, if ignored, will eventually prevent the car from starting. 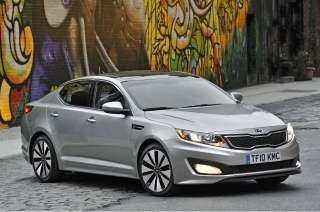 How important is the Optima in the UK? It provides us with a highly credible entry into the D-segment and gives us a wide range of different products that we can offer when selling to our fleet customers. 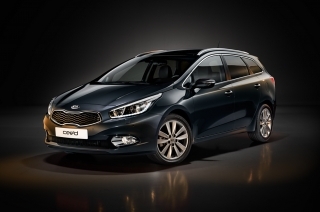 What sales targets have you set for the new Optima for the UK market? 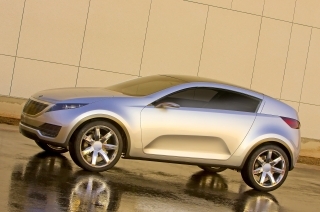 We never release sales or production targets for individual models; however, we expect the Optima models to outperform our internal projections. 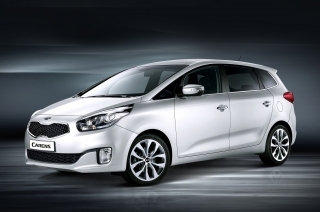 And what sales targets have you set for the Kia brand as a whole in the UK? Despite some challenges in the UK new car market we fully expect to reach a new sales record in 2018 in excess of 95,000 units. 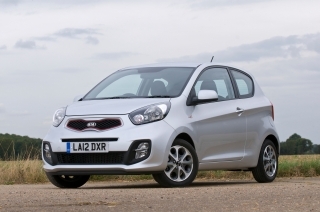 At the end of the first half of the year we had passed 51,000 sales – an increase for Kia in a market that was down overall – and despite the run-out of the old model cee’d, we are confident that a range of all-new and refreshed models will contribute strongly to our performance in the remainder of 2018. 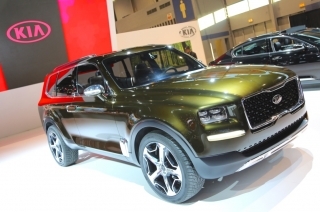 Are you worried about the downturn in diesel sales? Yes of course we are concerned, but we think the launch of our new 1.6-litre ‘U3’ engine is quite timely, as it’s very clean and efficient. It exceeds the requirements of the latest, most demanding emissions regulations, including Euro 6d Temp, and it is highly competitive in the D-segment. 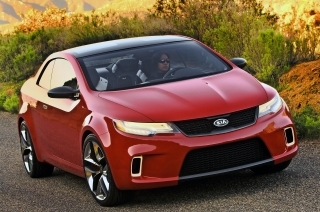 Diesel power dominates in the Optima’s segment and we believe we have a strong contender. What message would you like to send to potential diesel customers? 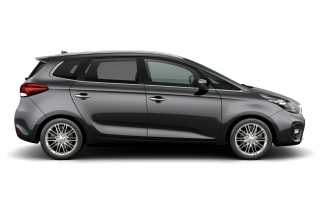 With the introduction of the latest emissions regulations, specifically the upcoming Euro 6d Temp standards, Kia diesel engines have never been more efficient. 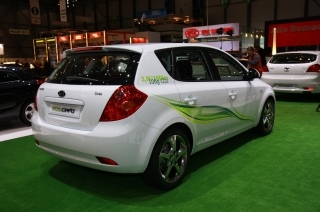 They are fitted with Selective Catalytic Reduction (SCR) active emissions control technology to regulate emissions. 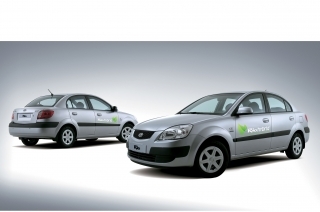 For higher mileage users, diesel cars make total sense, delivering low running costs and exceptional fuel economy figures. 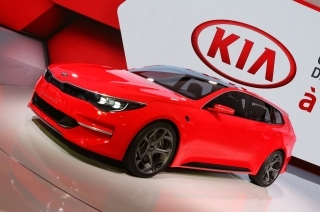 Kia has introduced a range of design enhancements and a new engine for the new Kia Optima. 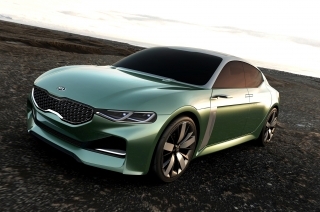 Sold as a Saloon or Sportswagon, the car made its debut at the 2018 Geneva International Motor Show and is now on sale at Kia dealers. 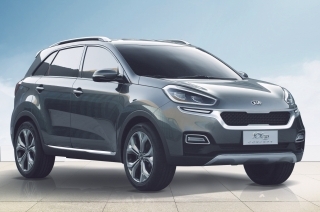 Kia’s highly anticipated five new models – All-New Ceed, New Sportage, New Optima, New Optima Sportswagon and the soon to arrive All-New Ceed Sportswagon – go on sale on 1 August with a special additional launch offer – giving buyers who have taken a test drive, their first three scheduled services free of charge. 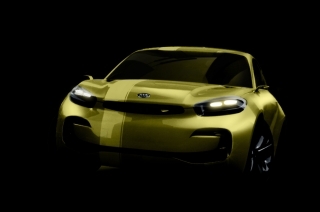 Kia Motors has unveiled its latest models at the 2018 Geneva International Motor Show today. 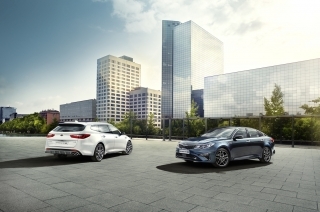 Kia Motors Europe has introduced a range of design enhancements and new engines for the new Kia Optima. 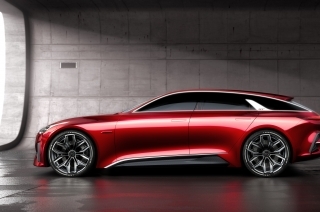 Sold in Europe as a saloon or Sportswagon, the car makes its debut at the 2018 Geneva International Motor Show, and is due on sale across Europe in Q3 2018.